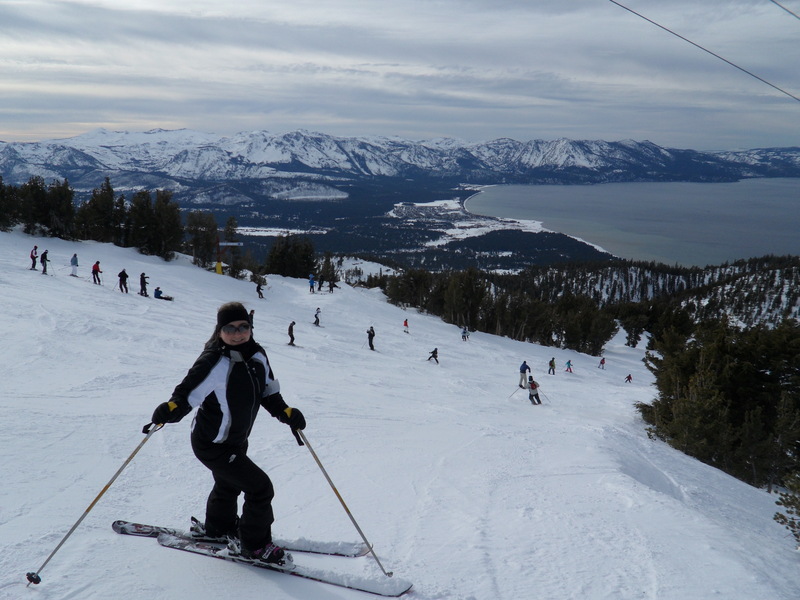 Going to Lake Tahoe is typically associated with boating, camping or snow skiing. The opportunity to have a fully-supported bike ride around Lake Tahoe is available only twice a year, June and September. Both of these rides are put on by Nevada’s BikeTheWest. The first event of the year is called “American’s Most Beautiful Ride,” put on every June. This time of year is tends to be a bit chilly and snow is still prevalent in the higher elevations. The second event of the year is the “Tour de Tahoe” in coordination with the Ride to Cure Diabetes. 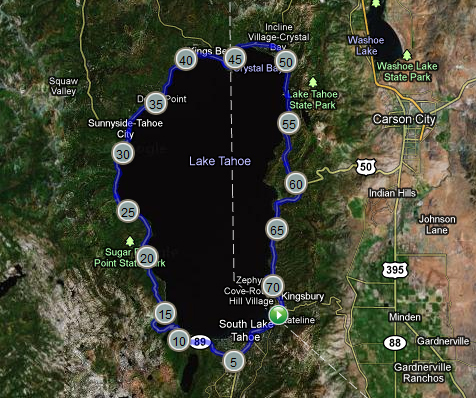 This ride starts in Stateline, Nevada and continues around the south side of Lake Tahoe along Route 50, then heads north up Route 89, then continues to loop the north side of the lake along Route 28 and once again joins up with Route 50 on the ride back into Stateline, Nevada. There are two ways to enter this ride, through BikeTheWest.com for $100 or as part of the Ride to Cure Diabetes team. The Ride to Cure has a series of rides all over the country with a variety of different fundraising levels. The minimum level of fundraising to be part of its team is $2,000. If you don’t think you can raise this money, the best way to be part of this ride is directly through BikeTheWest. We will be participating in the Tour de Tahoe on Sunday, September 11, 2011 through BikeTheWest. We can’t wait to take part of this amazing ride! We will be training for this ride as the elevation change is just over 3,000 starting at 6,500 feet above sea level. We will post pictures of the ride later. We hope you will be able to join us or find a ride in your own area. This entry was posted in Tours and tagged 72 mile ride, america's most beautiful ride, Bicycle, bike, bike big blue, bikethewest, biking, elevation map, jdrf, lake tahoe, nevada, ride to cure, ride to cure diabetes, rout 89, route 28, route 50, stateline, tour, tour de tahoe, tours by weliketobike. Bookmark the permalink.